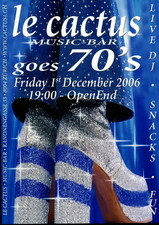 >music-bar: don't miss the HOT PARTY!!! 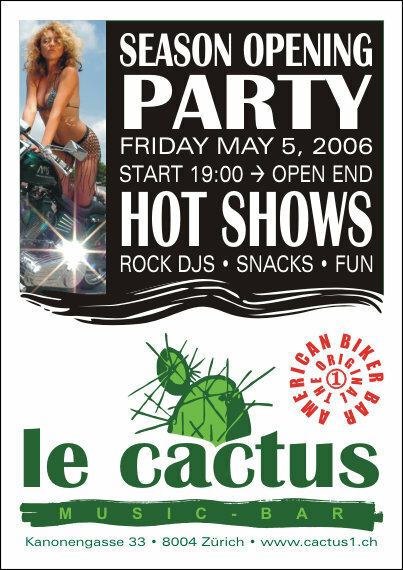 Very Hot Shows!!! Rock DJs! Snacks & Fun! 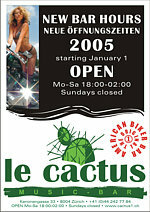 >music-bar: Le Cactus has new bar hours! • Swiss Limousine Services & more cool links! 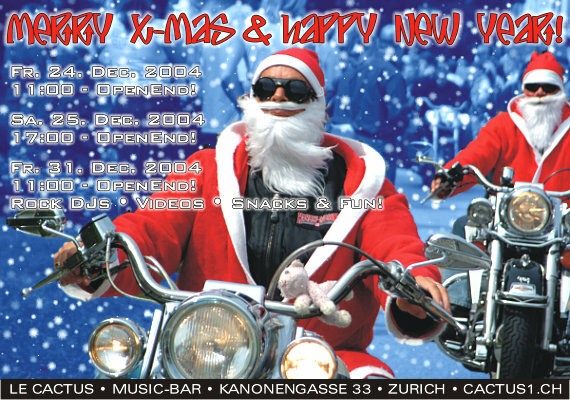 Rock DJs • Videos • Snacks & Fun! 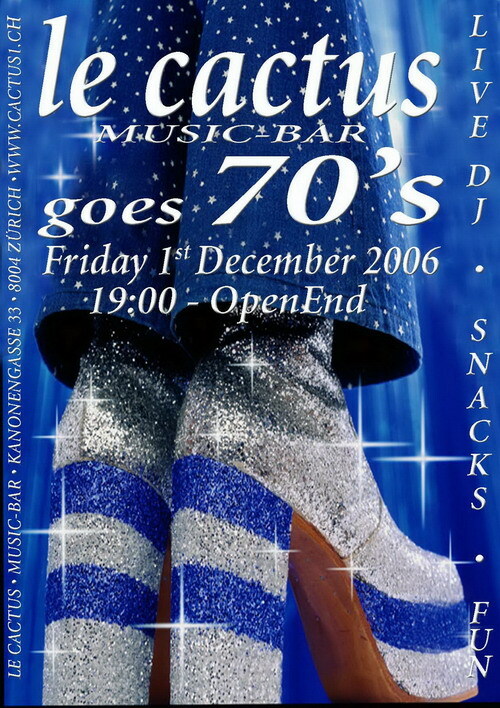 >music-bar: LE CACTUS GOES 70's !!! DJ JOE & DJ MARC ! SNACKS & FUN ! >music-bar: EUROPEAN HAMSTERS PARTY !!! HOT SHOWS! ROCK DJs ! SNACKS & FUN! 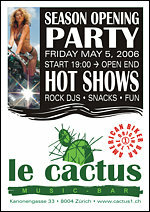 Very Hot Shows! Rock DJs! Snacks & Fun! Sorry these photos weren't published earlier. • music-bar: le cactus is worth a stop! >drive-in/photos: tons of new photos!! • if you like what you see, pls sign the guestbook! 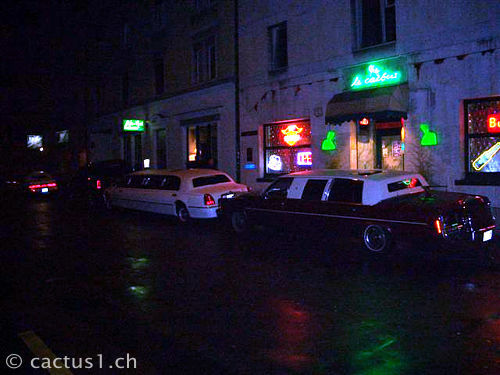 >drink & take a taxi or ... a limousine! parked out front! only 3 fit on the photo... cool! draussen parkiert! Nur 3 passten auf's Bild... geil! 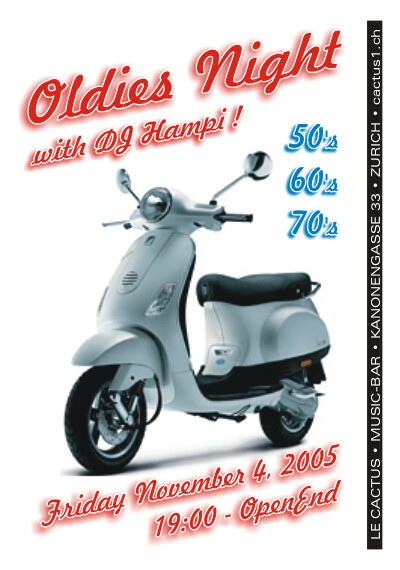 Starting 19:00 - Open End! 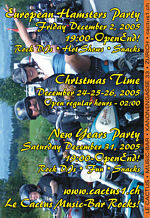 Rock DJs • Snacks • Shows & Fun! • New Bar Hours! Neue Öffnungszeiten! 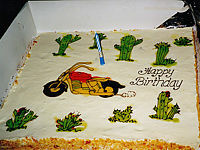 >services: guestbook, links, & more! Starting 19:00 -> Open End! 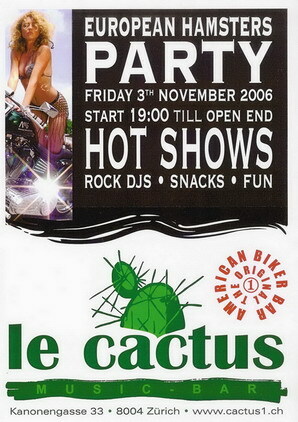 Rock DJ • Fun • Food & 1 Drink Free! Friday 7. 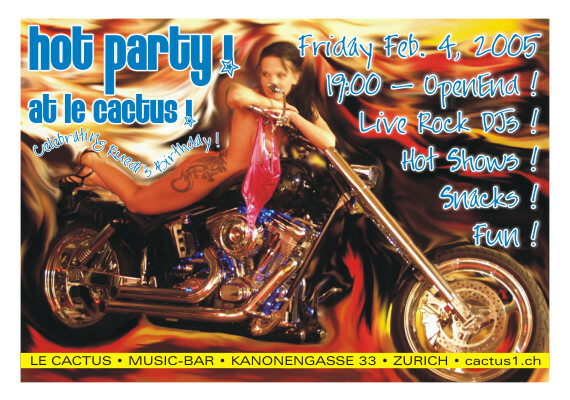 Feb. Ruedi's Birthday Party! 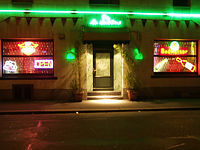 Live DJ + Food & 1 Drink Free! 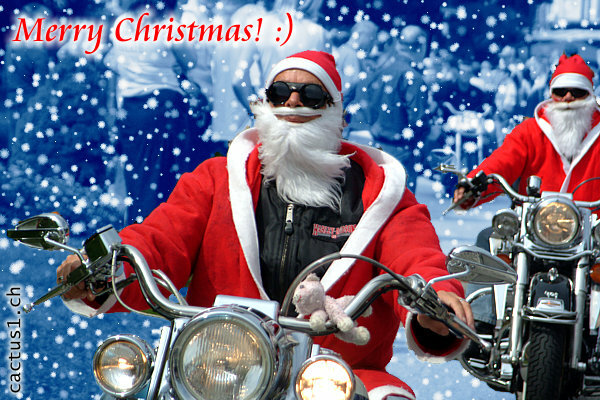 >drive-in: biker photos & videos! • Hundreds of New Photos!!! & More! 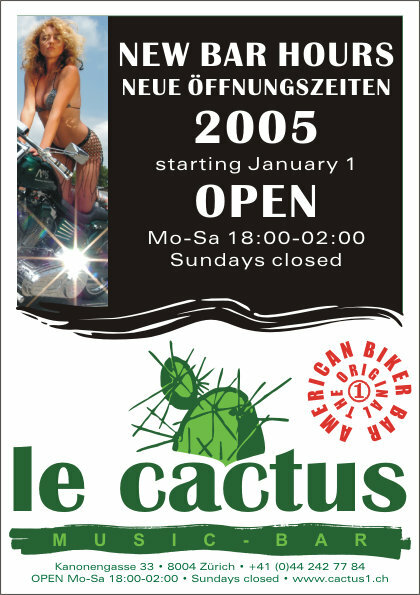 >music-bar: Le Cactus is OPEN! 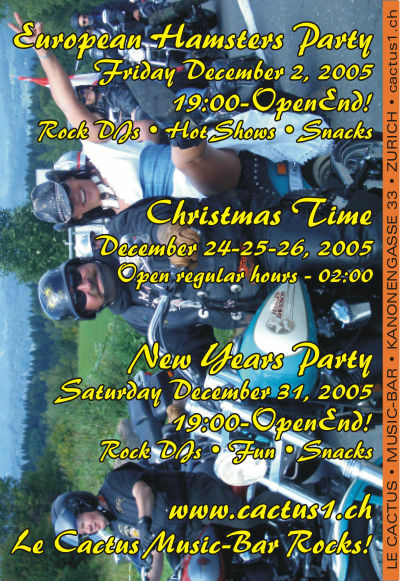 >drive-in: biker photos & videos. >services: guestbook, sales, maps & links.